Early wake up call in the Rainman Poker House this morning, every one got a Bugle alarm through the speakers of the house at 5am. The reason for this was that a few students decided to go out last night and strolled in at 4am. So Nick decided it was a good time for a webinar to re explain the rules in the house and also do a HH review for the guys. Luckily I went to bed a little early last night as Nick woke me up at 4:30am to make sure everyone was up by 5:15am and at their computer station by 5:45am. Our Vegas house is not a vacation house, but it seems like some of the guys are treating it like one. We have created this environment for our Elite Students to grind in the best conditions without distractions, not to go out to the strip and stroll in at any hour like you own the place. The Rainman House is here to teach our students how to grind and make a real living at poker. It is not glamorous, fun or easy to grind everyday, but that is the only way to succeed in online poker. It's all about volume in our house, not profit, because we know the profit will come with volume. If you don't get in the volume, then you simply cannot stay in our house. Curious about the game requirement ion the house? Full Tilt: 500 games/ weekly. 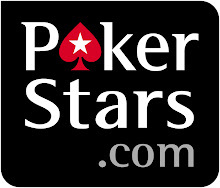 We also have a new member added to the Rainman Poker team. His name is Chase and he showed up in Vegas on Friday night at the corner of Craig & Buffalo to try and become Nick Apprentice. He has been thrown in and doing well so far, will post his blog once it is up. Candi, its very simple, just be like Master. Get yourself a kid and you'll have a built in 6am wake up call every morning.